Brewing with ingredients inspired by nature is what the Beers Made By Walking (BMBW) series is all about. Over the course of this past year BMBW hosted hikes in Forest Park with Base Camp Brewing, Breakside Brewing, Burnside Brewing, Hopworks Urban Brewery, and Reverend Nat’s Hard Cider, all looking at ingredients that are natural to our coveted city park. 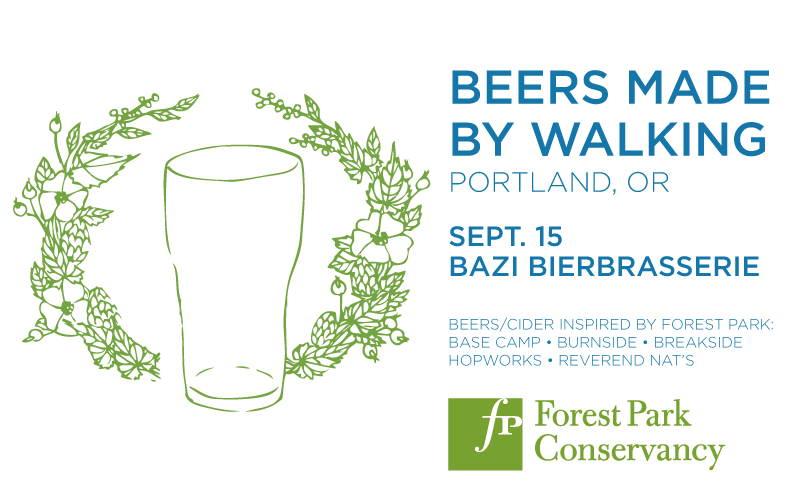 On Thursday, September 15, BMBW will host its annual Beers Made By Walking Portland Tasting with the four breweries and one cidery and will take place at Bazi Bierbrasserie from 5:00 to 8:00pm. The featured beers come directly from a collaboration with the Forest Park Conservancy that sent experts to lead monthly public hikes with brewers in Forest Park. Hikes took place on various trails throughout Forest Park. “Cumulatively, the beers create a drinkable landscape portrait of Forest Park,” states Eric Steen, founder of BMBW in a release. 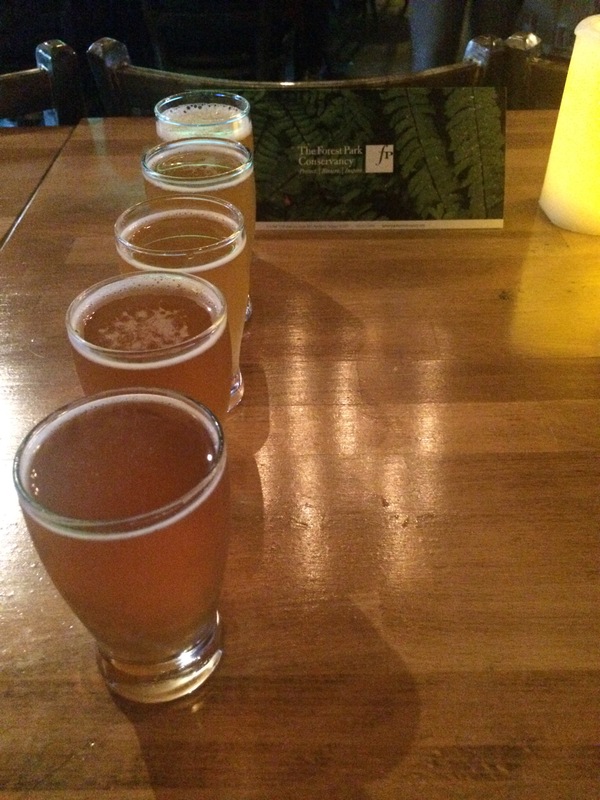 A flight of beers during the 2015 Beers Made By Walking fest at Bazi. Here’s the taplist for the Portland event. • Rev. Nat’s – Heirloom cider with pear juice, lemon balm, dandelion flowers and roots, and (of course) a cedar tea bag. For the tasting, each of the breweries and cidery will donate its beer and cider to help raise funds for the Forest Park Conservancy’s work that is helping to restore Forest Park.